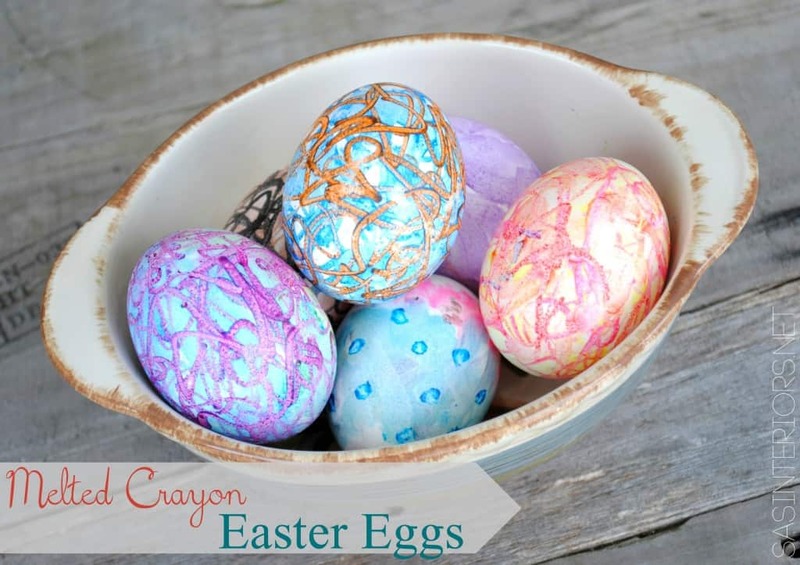 These 7 fun faux easter egg crafts are great for older children, teens, and adults. Not only are these Easter eggs a crafting dream but they really add a touch of Easter spirit to the home. 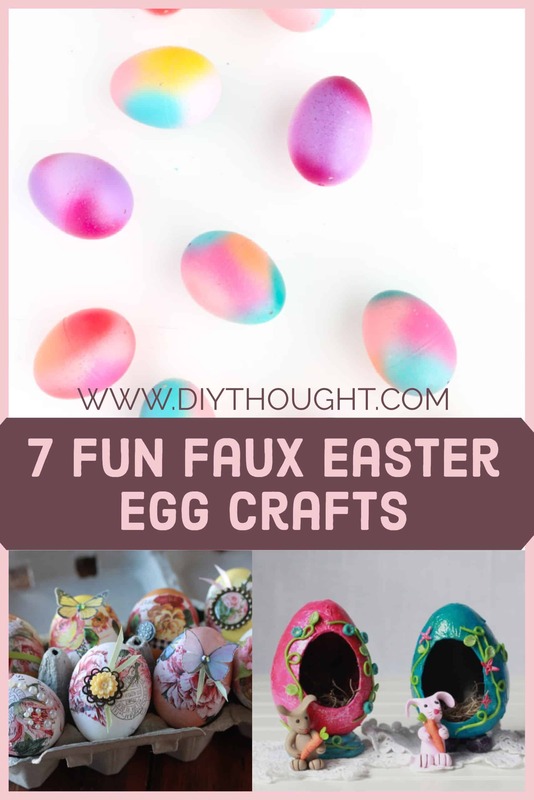 If you are ready to kick your Easter egg decorating up a notch then read on to see our favorite 7 fun faux Easter egg crafts! 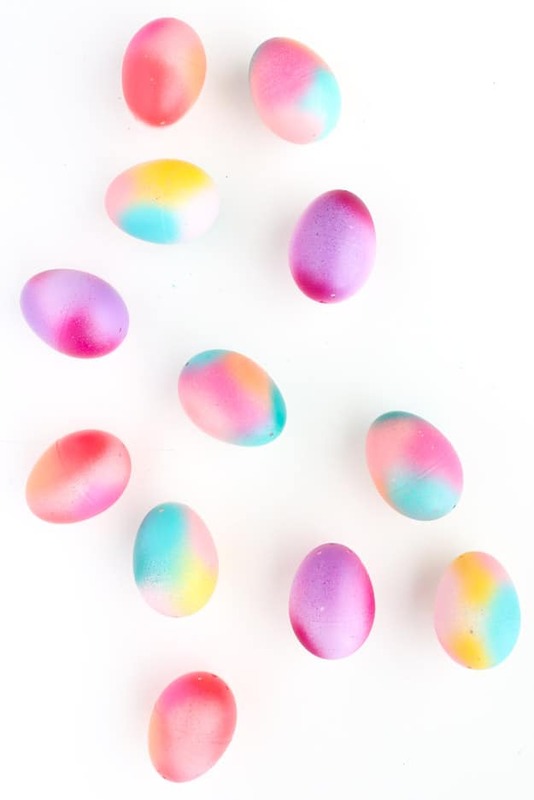 These beautiful spray-painted Easter eggs are perfect for a stunning Easter display. Read the full tutorial here. 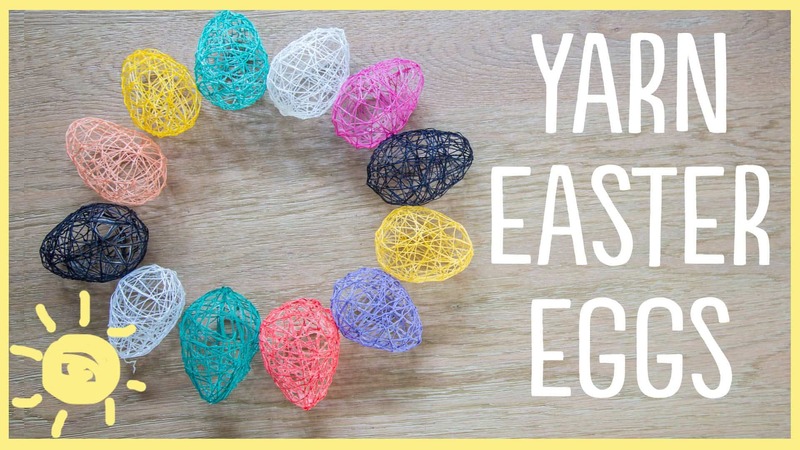 Yarn Easter eggs are stylish and SO much fun to make. Follow this link to find out more. This adorable Easter egg bunny is made from plastic eggs, felt, a pom pom and black pen. So cute that you will want to make a family of them! Click here to read the full tutorial. 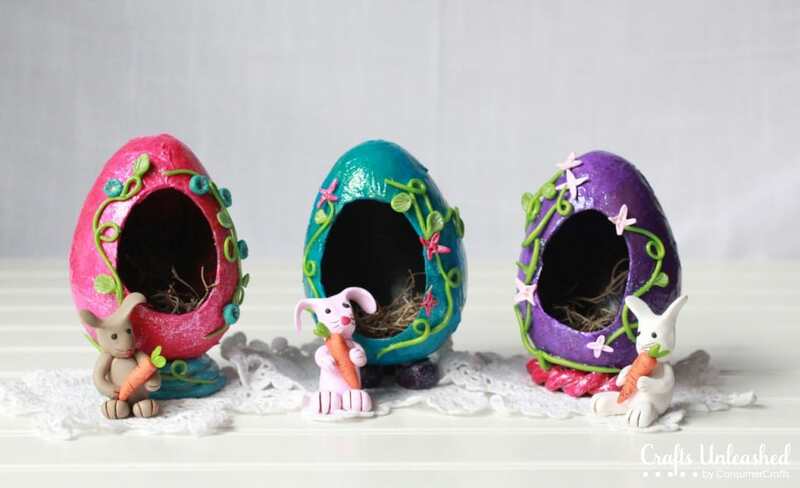 This amazing tutorial steps you through how to make these beautiful eggs as well as the rabbits and flower decorations from clay. 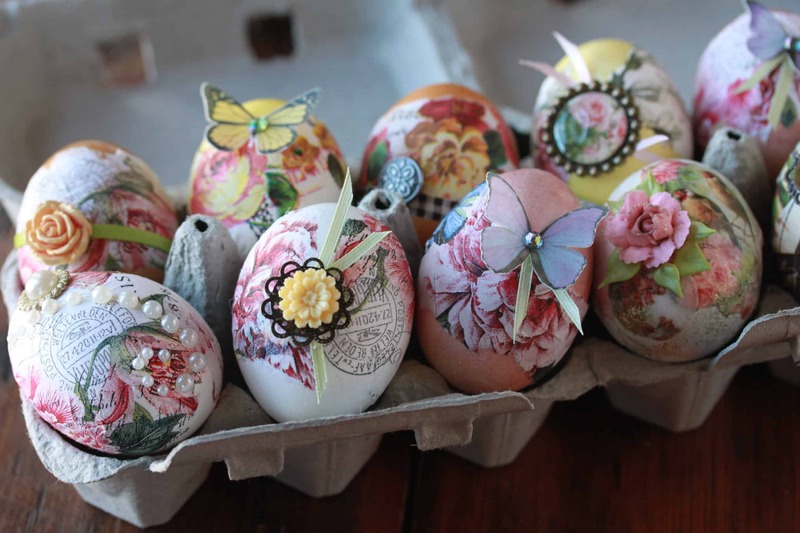 Decoupage with some pretty napkins and add on other crafting bits and pieces to create these stunning eggs. Boiled eggs can be decorated and then eaten after making it a fun Easter breakfast treat. Click here to watch the informative video. 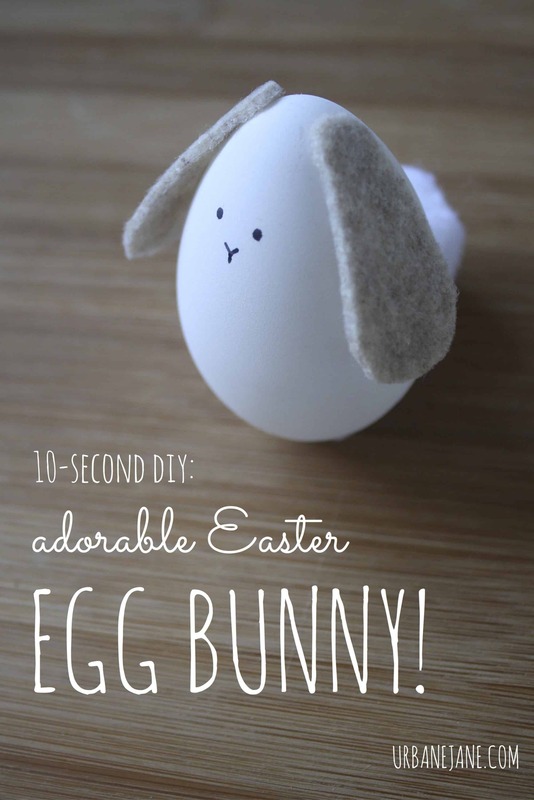 A great Easter egg craft for all kids. Boil the eggs then simply color the hot eggs with crayon and watch the crayons melt leaving a truly beautiful and unique finish. Click here to read the full tutorial. Turn all of your beautifully decorated eggs into a wreath to spread some Easter joy to all visitors to your home. 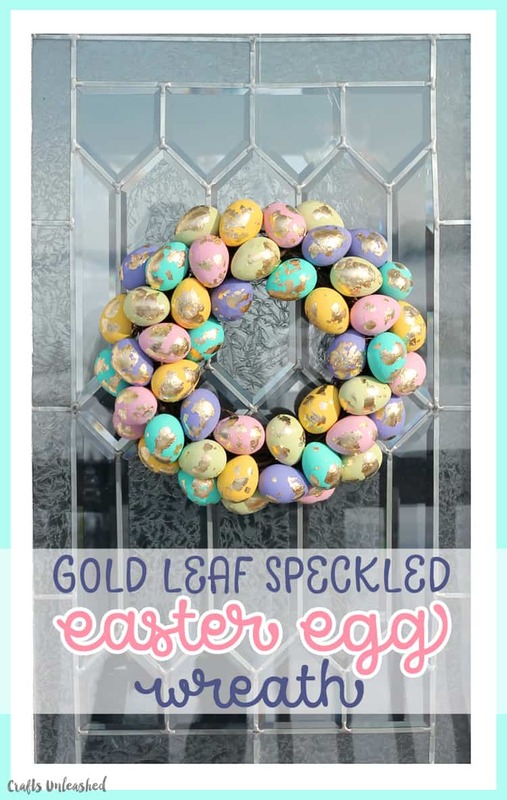 We love the gold leaf egg technique as it is simple yet lots of fun to do and just look at the results! Follow this link to get the full tutorial.